To get page titles to repeat at the top of each page, you have to jump through a series of hoops. Here we'll repeat the 4 rows shown selected (notice that we've included a blank row at the top of the table, to provide an offset from the top of each page). 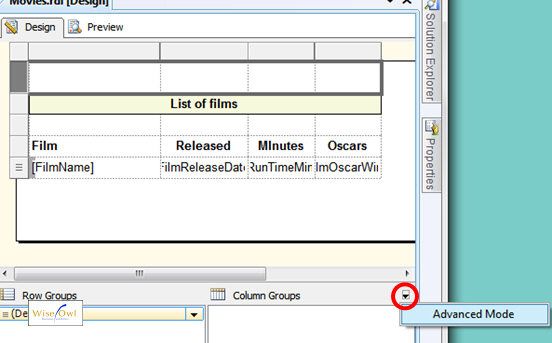 Click on the symbol circled and choose Advanced Mode. 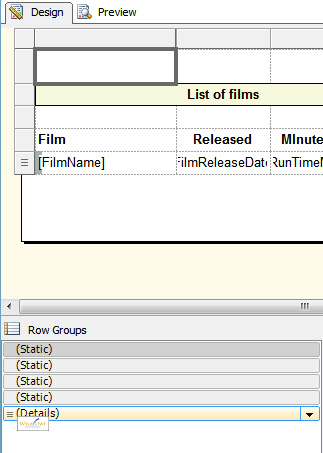 When you click on the (Static) row in the groupng pane, SSRS shows that it is selected in the main report designer. Keep an eye on this to check you've got the right row selected. 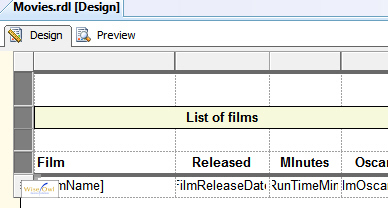 Change the property shown to repeat the selected row on each new page. 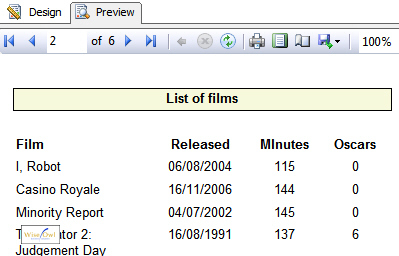 The second page of the report has the same titles as the first! But was it really meant to be this hard? 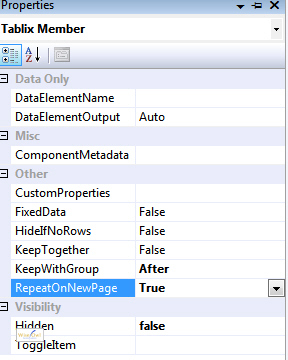 For an encore, read the companion blog on getting a page title to stay visible as you scroll down an SSRS report.